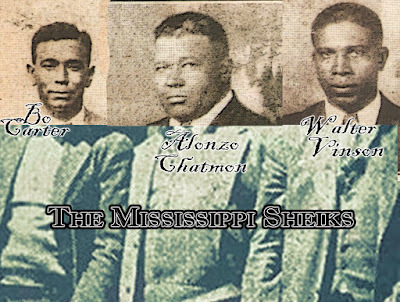 After unveiling an obelisk honoring the late Robert Johnson in Morgan City and dedicating a headstone for Charley Patton in Holly Ridge, the Mt. Zion Memorial Fund installed a headstone on the grave of early blues artist Elmore James at Newport M.B. 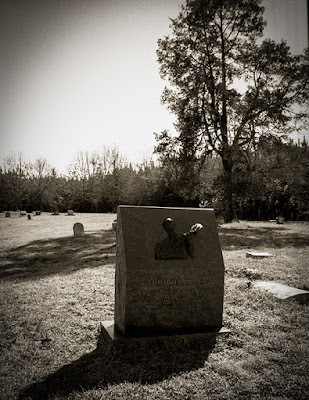 Church Cemetery in Holmes County. Born Jan. 27, 1918, in Richland, James began his career playing on a homemade instrument made with a lard can. 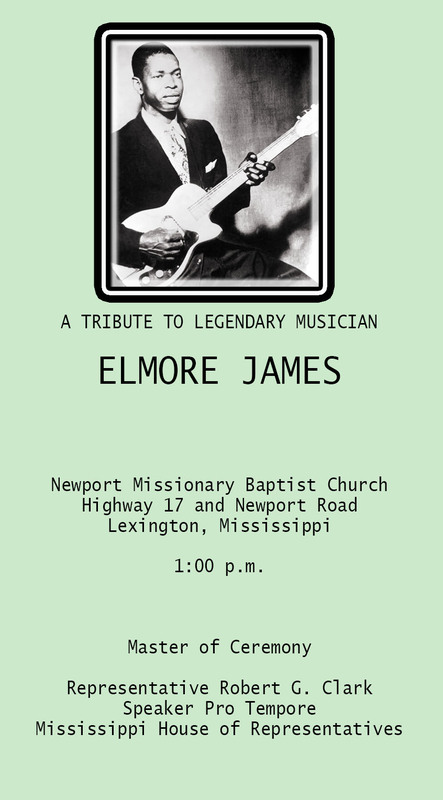 According to Delta Blues Museum curator John Ruskey, James “carried the country blues forward into a new sound by playing the traditional songs on electrified slide guitar and is credited with influencing Jimi Hendrix, James (Son) Thomas, J. 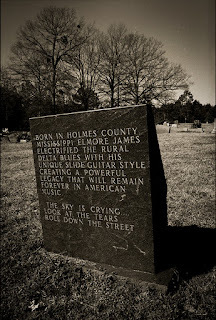 B. Hutto, Freddy King, Hound Dog Taylor, Eric Clapton, Duane Allman and Stevie Ray Vaughn." Local Clarksdale musicians who've acknowledged his influence include Jack Johnson, Johnnie Billington and Bobby Little. 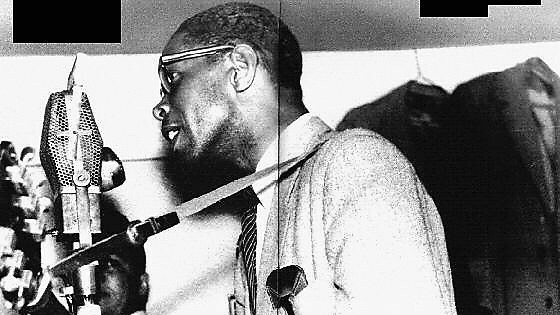 According to Ruskey, Elmore James played on WROX Radio in 1947 and 1948. In early September 1991, after reading a Billboard Magazine article about the dedication ceremony for the cenotaph of Robert Johnson in Morgan City, Phil Walden of Capricorn Records contacted Skip Henderson and commissioned a bronze sculpture mounted on a granite headstone through the Mt. 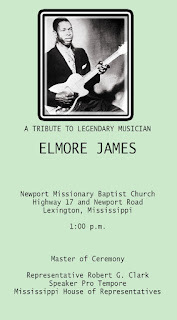 Zion Memorial Fund in honor of Elmore James. 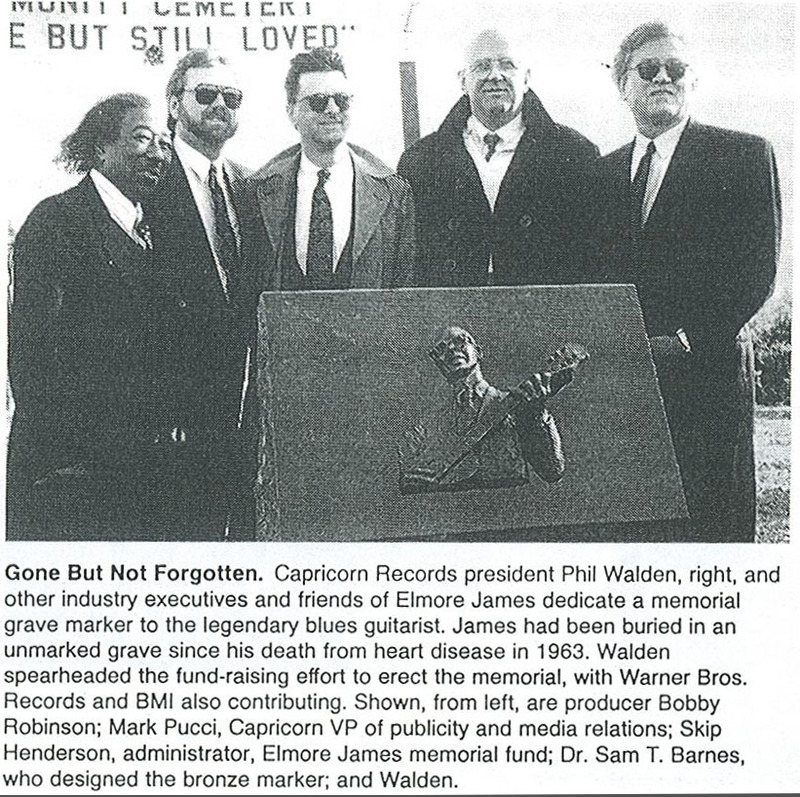 Dr. Sam Barnes, a dentist and amateur sculptor of Nashville, conceived of the headstone design and fashioned the bronze likeness of the musician that adorns the specially designed headstone. 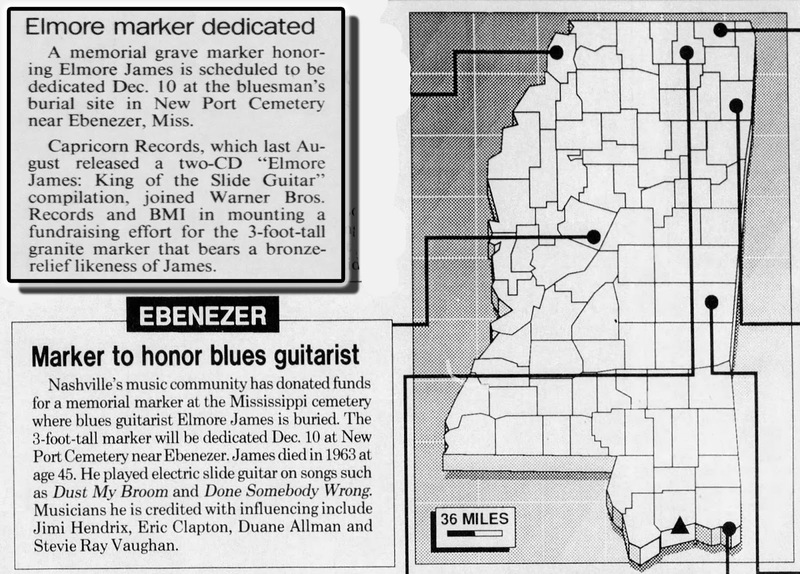 Holmes County Herald, December 10, 1992. 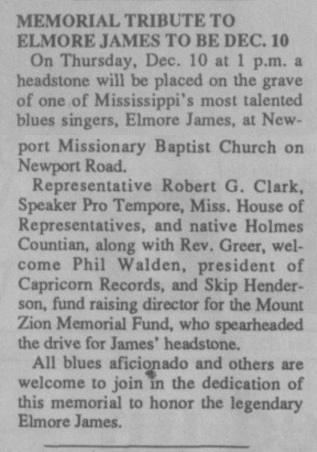 Clarksdale (MS) Press Register, Dec 10, 1992. 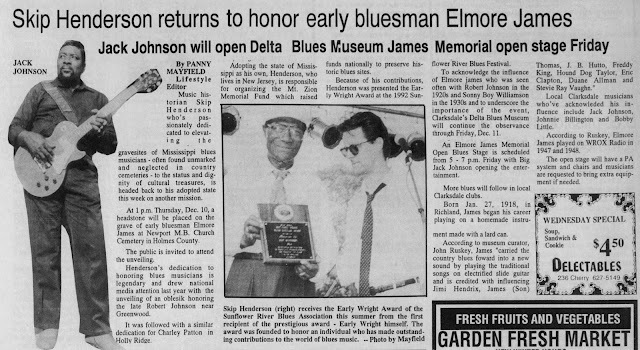 To acknowledge the influence of Elmore James who was seen often with Robert Johnson in the 1920s and Sonny Boy Williamson in the 1930s and to underscore the importance of the event, the Delta Blues Museum continued the observance through Friday with the Elmore James Memorial Open Blues Stage, with Big Jack Johnson opening the entertainment. 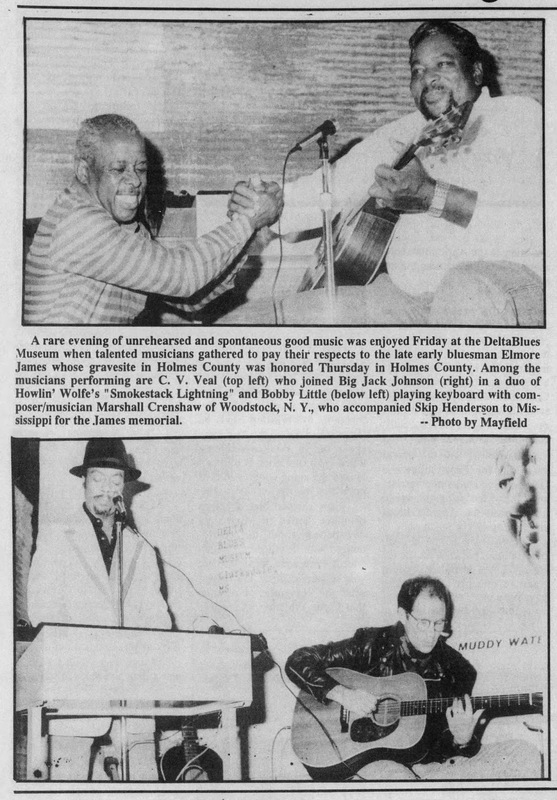 A rare evening of unrehearsed and spontaneous good music was enjoyed the next evening at the Delta Blues Museum in Clarksdale, when talented musicians gathered to pay their respects to the late bluesman. Among the musicians performing were C. V. Veal and Big Jack Johnson, who performed a duet of Howlin' Wolfe's "Smokestack Lightning." 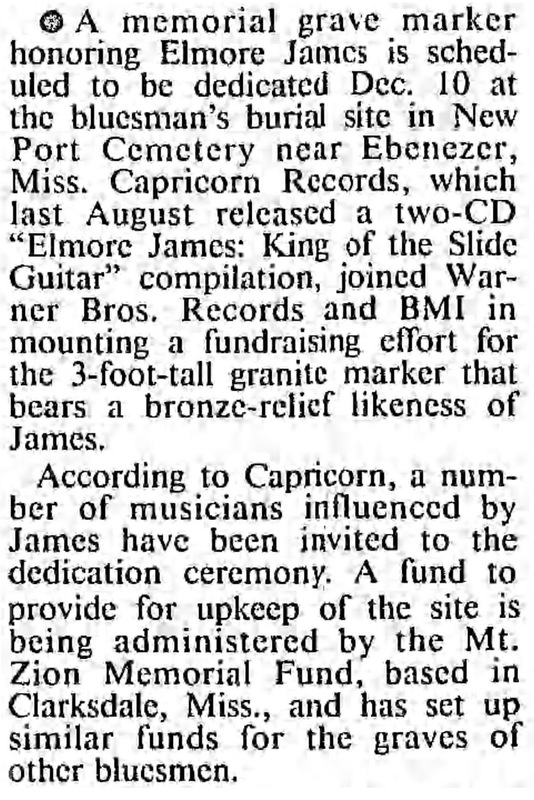 Bobby Little also played keyboard with composer/musician Marshall Crenshaw of Woodstock, N. Y., who accompanied Skip Henderson to Mississippi for the James memorial. Skip Henderson—who passionate dedication to elevating the gravesites of Mississippi blues musicians, many of which were often found unmarked and neglected in country cemeteries, to the status and dignity of cultural treasures—was the first recipient of the prestigious Early Wright Award earlier in 1992. 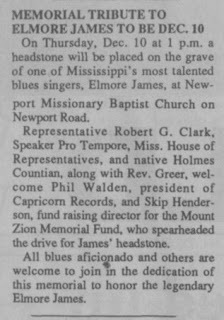 The award was founded to honor an individual who has made outstanding contributions to the world of blues music.The Clarksdale (MS) Press Register, Dec 8, 1992. Chicago Tribune, Nov 19, 1992. 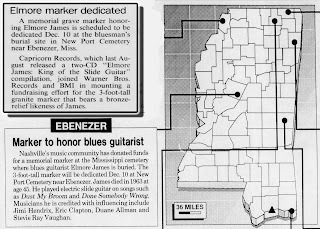 (Jackson, MS) Clarion Ledger, Dec 6, 1992. 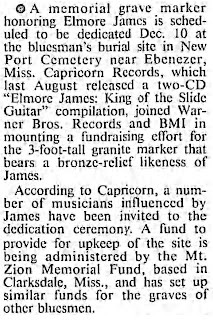 (Jackson, MS) Clarion Ledger, Nov 6, 1992. (Carbondale, IL) Southern Illinoisan, Dec 9, 1992. Billboard magazine, Feb 13, 1993.